Your speaker this evening is Ron Thomson – a well known conservation personality in southern Africa. For those of you who don’t know him, Ron has been involved in the wildlife business in southern Africa for the last 57 years. He began his career in 1959, aged 20, in what was then the Rhodesian (now Zimbabwean) Department of National Parks and Wildlife Management. He worked in that department for 24 years – working his way up through the ranks until he attained the position of Provincial Game Warden-in-charge of Hwange National Park – one of Africa’s largest and most prestigious game reserves. He qualified as a Field Ecologist at the University of Rhodesia; was a member of the Institute of Biology (London); and he was registered as Chartered Biologist for the European Union for 20 years. He had an illustrious career in Rhodesia/Zimbabwe where he accumulated vast experience in big game hunting. He estimates that he has spent more than 25 000 hours hunting crop-raiding elephants and buffaloes – and eliminating hundreds of these animals in the country’s tsetse fly control corridors. His “hunting time” was calculated from when he first picked up the tracks until he pulled the trigger – only. Included within these 25 000 hours is the time he spent in pursuit of black rhinos – which he darted and captured. He led Rhodesia’s black rhino capture team for seven years. It was Ron who pioneered and perfected the art of catching black rhinos in the thick Zambezi Valley jesse (thickets). And he conducted the final 100 metre stalk, always alone, with only a dart gun in his hands. His average darting range was between 6 and 13 yards. Altogether, he and his team captured and translocated – to safe havens in the country’s national parks – 140 black rhinos. In addition, he hunted a great number of stock-killing lions, leopards and hyenas; and crop-raiding hippos. He has killed six man-eating lions; and has captured 30 hippos with immobilising drugs, which animals were used to restock national parks. Ron commanded the elephant population reduction team – and was the lead hunter of three – when the Gonarezhou National Park’s elephant numbers were reduced from 5000 animals to 2500 in 1971 & 1972. And throughout this and other such management programmes, he worked closely with the department’s biologists and ecologists in the recovery of scientific data. All this hunting and capture work was conducted for official management purposes. He has never hunted for trophies; and he possesses none. But he strongly supports the trophy hunting safari business. Ron left Zimbabwe in 1983 and moved to the Ciskei in South Africa where he held the position of Chief Nature Conservation Officer. A year later he was appointed Director of the Bophuthatswana National Parks Board – which post he retained for three years. He later worked as a Professional Hunter for three years – in South Africa’s Great Karoo. For the last 25 years he has worked as a wildlife journalist – producing countless magazine articles on hunting, conservation and a plethora of controversial wildlife management issues. He is currently a sub-editor of the African Outfitter magazine. He has written and published 14 books. Some are his big game hunting memoirs, others major works designed to create a better informed public – better informed, that is, about the principles and practices of wildlife management. Cop-17 is the third CITES convention that he has attended. Your speaker today, therefore, has a rounded mixture of academic and practical wildlife management experience. He has spent many years administering African national parks. And he has an incredibly vast experience in the management and hunting of elephants. He is a founding director – and the current President – of the TRUE GREEN ALLIANCE. This is a new southern African NGO, the purpose of which is to create a public that is properly informed about the principles and practices of wildlife management; and which repudiates the animal rights doctrine. I am certain, therefore, that you will enjoy his authoritative talk this evening. I would like to thank Mr. Burger, and the Professional Hunters Association of South Africa, for giving me the opportunity to discuss the following very important topics with you this evening. The impact of Africa’s human population explosion on the continent’s wildlife management programmes – now, and in the future. Few people have NOT heard of the “endangered species concept”. Most of us, however, have no idea what it really means. And nobody can explain just how it can or should be applied in the field of science-based wildlife management. This is because it is based on a false premise and there is no logical place where it can be applied. Now let us have a look at one species that is currently listed as endangered – The African Elephant (Loxodonta africana). It is reported to occur in 137 African countries (known as the African elephant “range states”) and to comprise over 150 separate populations. NB: To make absolutely certain that everybody understands what I am going to be talking about, I will now define what a species is; and what a population is. A POPULATION is: “A group of animals of the same species the individuals of which interact with each other on a daily basis, in continuum, and which breed ONLY with other animals in the same group”. This does not mean that individuals in a population meet all other individuals on a daily basis. The statement declares that individuals are linked “in continuum” – which is another way of saying their individual home ranges continuously overlap. Elephants are able to live, and thrive, in a variety of habitats – savannah; grassland; woodland; lowland, montane and riverine forest; and in swamps – all of which occur between the coast and the continent’s highest mountains; and in regions of high rainfall as well as the most arid of deserts. In some areas they live in harmony and in close association with human settlements. In others they are heavily poached by their human neighbours. In places some elephants raid the local people’s crops and damage their water supplies; and they are often shot because they have become “problem animals”. So each of Africa’s 150 elephant populations live within an environment that is uniquely its own. Each population’s habitat, and the various other environmental pressures that are exerted on it, are very different to those that pertain to every other population. THAT means they have to be managed individually. There is NO universal management solution. If we want to understand the full implications and applications of elephant population management practices, however, we must also have a clear understanding of the term “habitat carrying capacity” – because THAT is a vital benchmark in elephant management programmes. NB: In the simplest of terms, “habitat carrying capacity” quantifies the maximum number of elephants that a habitat can sustainably support without the vegetation suffering permanent and progressive damage. If we want to maintain an elephant population in a national park for posterity – that is forever – it is imperative that the park’s habitats be maintained in a dynamically stable and healthy condition. The wildlife manager, therefore, must not allow elephants to proliferate without constraint because, ultimately, that will lead to the population exceeding the sustainable habitat carrying capacity level. Such habitats are then continuously over utilised – by too many elephants – so they progressively degrade. This state of affairs is currently the norm in most southern African national parks. If such situations are allowed to continue, the end result will be that the elephant sanctuaries will become deserts. In other words, the elephants will eventually destroy their own habitat and cause their own extinction – without a single poacher’s bullet being fired. And remember, they share their habitats with every other animal species in the game reserve. And every other animal species in the game reserve will suffer the same fate. They too, will disappear. Leaving elephants to their “own devices” in a game reserve, therefore, will destroy everything! So to those of you who believe that nature should be left to her own devices in a national park, I say: “Think again”. Elephants – being the largest mammals on planet earth – are also the most destructive. They and their habitats need to be managed! Why is man the principle beneficiary? Because it is HIS management objectives that are achieved! “Management” is what most people refer to – erroneously – as “conservation”. The word “conservation” is NOT, however, a synonym for “wildlife management”. It is also NOT a synonym for “preservation”. These facts will emerge as my talk progresses. NB: Within a national park, man’s principle management objective is (and must always be) to maintain the sanctuary’s species diversity (i.e. the original plant and animal species spectrum). EVERYTHING else must be subjugated to this primary goal. Managers wrestling with determining and implementing “best practice” elephant management programmes, therefore, should not forget this fundamental desideratum. The best way to secure species diversity is to maintain every individual habitat-type in the game reserve, in a dynamically stable and healthy condition. If the habitats are flourishing, the plants that comprise them, and the animals that live within them, will most likely remain “SAFE” forever. NB: Keeping a habitat in a stable and healthy condition does not mean that elephants cannot eat the vegetation. It means that whatever vegetation they consume (or damage) annually, is replaced by nature during the following growing season. In a properly managed game reserve, therefore, at the end of every growing season, the habitats should have been restored to the condition they were in during the same periods of all previous years. Now, a final mental exercise in the wildlife management conundrum! Open your mind! Imagine you are the manager of a national park, striving to maintain its biological diversity. Now think of the elephant – its great and varied appetite and its propensity to damage even mega vegetation – and envisage how YOU are going to fit this particular animal species into the game reserve’s holistic ecological picture! If your mind is functioning correctly, you will now likely be smitten with the sudden realisation that the elephant is only one of a host of large animal species that live in the same sanctuary. And you will understand that the elephant is not more important, nor is it less important, than any other plant or animal species. They are all equally significant; and together they form a giant and complex web of natural interdependence. And THAT is the vision I hope you will maintain for the rest of this evening. Now let’s return to evaluating the importance of elephant populations; as opposed to the elephant as a species. Within the population milieu, a number of situations beg classification. Think of a population of elephants that, numerically, has been consistently reduced in number as a result of continuous poaching pressure; and which is still declining because nobody seems able (or willing) to stop the poaching. Such a population, classically, fits the description that we have ascribed to “endangered species”… except a “population” is NOT a “species”. Maybe we should call it an “endangered population”? But I am not going to do that for a number of reasons that I shall discuss shortly. Instead, I am going to call it, simply, an “UNSAFE” population. Now think of another population of elephants, the numbers of which are within the carrying capacity of its habitat. A population that is numerically healthy, that is breeding well, and that is using its habitat resources sustainably. In other words, the population is NOT causing irreparable damage to the habitat; and it is not, therefore, threatening the game reserve’s biological diversity. This is a population, perhaps, that is culled regularly – to maintain numerical stability and balance with its habitat’s elephant carrying capacity. Such a population I call “SAFE”. Now, finally, think of a population of elephants that, numerically, has grossly exceeded the carrying capacity of its habitat; is causing irreparable damage to the vegetation; is causing loss of soil; is causing loss of plant and animal species; is causing loss of plant bulk; and is still expanding. This population I call “EXCESSIVE”. Some are “GROSSLY EXCESSIVE”. Nevertheless, I am still going to call this population “SAFE” (although it is really only quasi-safe) because the management strategy that needs to be applied to it is very similar to that which should be applied to a genuinely “SAFE” population. There are two basic functions within the science of wildlife management: “Preservation” and “Conservation”. “Preservation” management is applied to UNSAFE populations. This practice “protects UNSAFE populations from all harm” with the object – over time – of rendering them once again SAFE. When this management objective has been achieved – and the UNSAFE population has returned to being SAFE – it must be transferred to the conservation arm of management. “Conservation” management is applied to SAFE populations – and to EXCESSIVE ones. The conservation management treatment that both of these population categories receives, however, is virtually the same. The difference being only in degree! In both cases the population has to be reduced in number to a level that can be sustained by their respective habitats. Both these categories of populations (EXCESSIVE and SAFE) can be culled, harvested, individuals captured for sale, hunted, sometimes drastically reduced in number – and utilised in a variety of other consumptive ways – without such management action having any detrimental effect on the principle population. NB: Here we have explained the true meaning of the word “conservation”. It implies “the sustainable use of a living resource”. Conservation is, in fact, a function of management. The only management which an ordinary SAFE population requires – for it to be maintained in a safe and healthy condition – is the removal of its annual increment every year. So an elephant population numbering 1000, that increases at the rate of 7 percent per annum, will expand by 70 animals every year. This is the number that the manager will have to remove every year in order to maintain the population’s original size. This management practice is known as “culling”. Excessive elephant populations, on the other hand, require a different conservation management treatment. Once their numbers exceed the sustainable carrying capacities of their habitats, they must be reduced – irrespective of the actual numbers – by no less than 50 percent. And if, after the first reduction exercise, the numbers are still deemed to be above the sustainable carrying capacity of their habitats, they must be reduced, again by 50 percent (measured, this time, against the already diminished population). And that procedure must be continually repeated until the numerical state of the population reaches a level that is within the sustainable elephant carrying capacity of the habitat. The big and obvious question is: “When do you know that an excessive elephant population has been sufficiently reduced?” The answer is: “When your botanists tell you that the habitat is starting to recover”. When the habitat damage stops and recovery begins, we KNOW that the elephant population number is then low enough to no longer pose a threat to the park’s biological diversity. And THIS is the ultimate purpose of the population reduction exercise! The number of animals that have had to be removed to achieve this purpose, however, is actually irrelevant. Nevertheless, the numbers involved in population reduction exercises can be very large. This will be the case, particularly at this time in southern Africa’s history, because we have not been applying appropriate management to any of our elephant populations for the last 25 years – and their numbers have been doubling approximately every 10 years. In southern Africa, therefore, the elephant population numbers are now three or four times higher than they were in 1990 – which was about the time when all elephant culling in Africa was suspended. Even so, in 1990, many elephant populations at that time were already greatly “excessive”. Unimportant though the population reduction numbers may be to clear-thinking and management-orientated people, however, they will be considered in a very different light by the general public. The man-in-the-street will be horrified by the magnitude of the elephant population reductions that I, for example, would recommend, and governments will consequently be reluctant to make appropriate political decisions. And THAT factor will be the greatest impediment to implementing “best practice” elephant management anywhere and everywhere. THIS is the terrible legacy that the meddling and self-serving Western World animal rights NGOs have given to Africa! And they will remorselessly walk away from the results of their dirty deeds. But responsible nature-loving people must not be dismayed. All is not lost! This is where “hard talk” and “tough love” enter the picture; because if we fail to implement these drastic remedial elephant management actions, many African game reserves will lose ALL their once rich biological diversities. And many species of plants and animals will be rendered locally extinct – which trend has already begun! In South Africa, Kruger National Parks’ elephants numbered 7000 in 1994 and, today, there are 22 000. All these populations are still increasing; and they are all already grossly excessive in number. These are not statistics that support the animal rightist’s propaganda – which states that the African elephant (as a species) is declining and facing extinction! There may be some truth in the NGO’s statements for elephant “populations” in West and East Africa – and elsewhere. But this is nowhere near the truth for those that occur south of the Zambezi and Cunene Rivers. And the “species” is definitely NOT facing extinction! The propaganda statements by these fanatical extremists, therefore, are – at the very least – gross distortions of the facts. And it is on the basis of these blatant lies that the delegates at this CITES convention will be deciding whether or not to ban the ivory trade forever. This must NOT be allowed to happen. May I remind you: It was following a similar string of animal rightist NGO lies that the elephant was declared to be an endangered species in 1989; and legal trade in ivory was banned. Now the states of southern Africa – because of their continuing wildlife “conservation” successes before and since 1989 – want to resume trade in ivory and rhino horn. And there is no legitimate management reason why they should not do so. As can be expected, however, the most fervent opposition is coming from the Western World’s (and CITES-accredited) animal rights NGOs – which is NOT fair to the southern states of Africa who have excelled at conserving their wildlife resources over a very long period of time. I think it is high time that the activities and fabrications – and the very negative effects on Africa’s conservation efforts – of these extremist NGOs, be subjected to an independent United Nations inquiry; and I would like to give evidence at such an inquiry! These nefarious people are telling the same lies today that they told the world in 1989. And, to add insult to injury – something that they won’t want the world to be told – they have all the time been making a great deal of money out of their propaganda. Now here comes my crackerjack rebuttal: The animal rightists’ modus operandi, by definition, constitutes criminal racketeering! Racketeering is a criminal activity that is part and parcel of organised crime. And, in the process of thus lining their own pockets, the Western World animal rightist NGOs have been holding the governments, the people and the wildlife of Africa to ransom! Is it really any wonder, therefore, that so many African delegates are contemplating resigning from CITES? They want to leave the convention because they get nothing beneficial out their membership of it. All they get is deceit and barriers to their implementation of “best practice” wildlife management programmes. And after 40 years – the main reason why CITES was formed in the first place; to STOP the illegal trade in wildlife and wildlife products – has had absolutely zero success. Indeed, the illegal wildlife market is stronger today than it has ever been; and poaching is rife throughout Africa. So what good has CITES done? What good is it doing right NOW? CITES, in fact, is now impeding the testing of alternative solutions to the animal rightists’ failed TRADE-PROHIBITION dictum. The last 40 years have proved that the CITES trade ban solutions do not work. They have had no effect on the poaching – which is worse now than it has ever been. So – quite naturally – the states of southern Africa – who are the ONLY victims of the foreign poaching pandemics – want to test possible alternative solutions. They want to be permitted to establish open, controlled, transparent and legal international markets in rhino horn and elephant ivory, in the hope that legal trade will satisfy the demand for these products in the Far East – and that it will reduce the incidence of poaching. It will also earn a great deal of much needed revenue that can be used constructively to combat poaching. But the animal rightist NGOs – through CITES and with the support of major First World Governments – are doing everything they can to quash this suggestion. NB: Albert Einstein is reputed to have said that: “The definition of insanity is doing something in exactly the same way – over and over again – and expecting a different outcome every time”. I would suggest, therefore, that the sovereign states comprising CITES – AND the accredited animal rightists NGOs at CITES – extend their education to include the absorption of such supreme pearls of wisdom! This brings us back to the management implications of the endangered species concept. The label “endangered species” implies that each and every population is UNSAFE; for which the proper management application is, indeed, “preservation” management (protection from all harm). But ALL of Africa’s elephant populations were, in 1989, clearly NOT UNSAFE. For example some were still being culled in southern Africa at that time. Yet CITES attached the “endangered” label to the elephant species as a whole. Every population was, therefore, considered to be UNSAFE, and in southern Africa the essential culling of all SAFE and EXCESSIVE elephant populations came to a grinding halt. This meant that all the healthiest, the most robust and the best managed elephant populations in Africa were abruptly subjected to TOTAL MIS-management. NB: The application of “conservation” management to an UNSAFE population represents MIS-management; as does “preservation” management when applied to a SAFE population. There is simply no place within the realm of science-based wildlife management where the endangered species concept fits. It is, therefore, a fallacious notion that needs to be abandoned and removed from all mankind’s vocabularies. The animal rights doctrine requires that its every member strives to ABOLISH all animal uses by man – including trade. Indeed, they state that profiting from wildlife is immoral. And the animal rightists insist that mankind should subsist on a vegetable diet alone. This begs the question: Why have so many animal rights NGOs accredited themselves to CITES (?) – the purpose of which is to stop the illegal trade in wildlife and wildlife products; and to REGULATE the legal trade. Indeed, CITES spends more time on trying to regulate the legal trade than anything else. It is very clear, therefore, that the animal rightist NGOs joined CITES not to further the convention’s purpose but to sabotage it. NB: It is a proven fact that the animal rightists cannot achieve their objectives without violating the legitimate rights of other people. So there is truly no place for their doctrine in any responsible and civilised society. NB: Animal “rights” should not be confused with animal “welfare”. Animal welfare organisations do not object to man using animals for his own benefit – but with provisos. They prescribe that when man uses a live animal to gain benefits – for example – such as an ox to plough a field, or a donkey to pull a cart – there should no cruelty involved in such use; and that when he kills an animal to obtain benefits – such as slaughtering an ox for meat to eat – the killing process should be humane. The animal welfare organisations, in fact, oversee man’s civilised standards in relation to his “use” of animals. Every person in the world, therefore, should be a true animal welfarist. It was the accredited animal rightist NGOs at CITES who persuaded the delegates to vote in favour of the ivory trade ban in 1989; and to also vote to have the elephant declared an endangered species. They gave not one iota of consideration to the fact that there were 150 different elephant populations in Africa at that time, many of which were “SAFE” – and others “EXCESSIVE”. As I have said before, the recommended management regime for excessive elephant populations is the drastic reduction of their numbers by at least 50 percent initially. This is necessary: to maintain their game reserves’ biological diversities; to safeguard each species population’s health and general wellbeing – including that of the elephants; and to ensure the vigour, stability and recoverability of their habitats. The dogma of the animal rightist’s their doctrine, however, forced the NGOs to advance these so-called endangered species protection measures in 1989 – regardless of the consequences. This doesn’t, at all, surprise me. These people have always had their own agendas which bear no relation to the animals they purport to care so much about. When the elephant was declared an endangered species, every single elephant population in Africa was lumped under the same “UNSAFE” umbrella. This demanded that they ALL be afforded the most extreme level of preservation management possible. As I have just explained, however, that category was invalid for a great many of the continent’s elephant populations. But this was of no consequence to the animal rightists. They had promised their donors, that they would push these measures through at CITES that year, and since then their coffers have been replenished annually. They care nothing for the animals or best practice wildlife management procedures – only the revenue they can generate from their propaganda! Since 1989 every single elephant population in Africa, therefore, has been irresponsibly considered UNSAFE by CITES – and the convention has continued to enforce its (insupportable) total protection policy. This has resulted in practically every elephant population in southern Africa increasing to numerical levels that place them in the grossly excessive category. Today these populations are trashing their habitats, and the national parks of the region have fast been losing their biological diversities. And Africa, seemingly, can do nothing about it. Africa’s states cannot fight the might of CITES; nor can they change the misguided procedures that achieve so-called “consensus” in the CITES voting system; nor can they influence the dictates (and threats) of the many powerful First Word countries that crack the CITES whip. 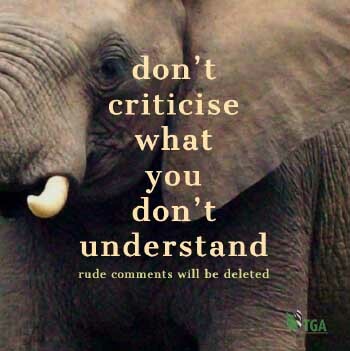 Countless people in Africa know how to manage their elephants (and rhinos) but the CITES’ directives – and First World government pressures – deny them the freedom to do what they know is “right”. And now – this year – we see history repeating itself! The animal rights’ pressure is once again on to save the African elephant at all costs. And, once again, TOTAL preservation is their clarion call. And, as always, Africa is powerless! The votes of the uninformed 145 non-elephant-range states at the convention completely outweigh the experienced opinions of the 37 elephant range states when the votes are cast. Yet it is ONLY the range states that can talk with any degree of authority about the African elephant and its management needs. Furthermore, it has been shown repeatedly that the non-range states are very easily persuaded (coerced, and/or bribed) by the animal rightist NGOs and their well-oiled propaganda machines. 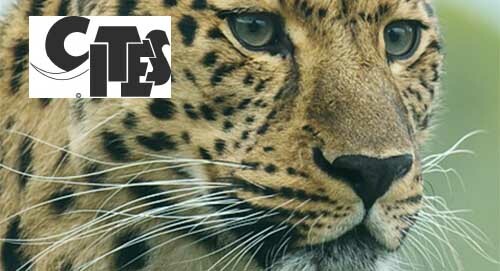 It appears that CITES is now more concerned with politics than it is about the “best practice” wildlife management concerns that bedevil its sovereign state members. I ask you: How crazy is this? It is no wonder, therefore, that so many African states are disenchanted; and why they want to resign from CITES! Now we come to the third and final section of this evening’s talk: the impact that Africa’s massive human population explosion is going to have on the continent’s wildlife. So by the turn of the next century – in the year 2100 – there will be six times as many people living in sub-Saharan Africa as there are today. Furthermore, the way that Africa is progressing, pro rata poverty and unemployment are unlikely to be any different from the situation that pertains today; but it will be affecting (and influencing) six times as many people. And it is poverty and unemployment that are, at this time, the driving forces behind commercial poaching. Throughout the following 100 years, the next three or four generations of young people that will be born into rural Africa, will forever be looking for land to live on; land to cultivate crops on; and land on which to graze their cattle, sheep and goats. I leave to your imagination, therefore, just what the commercial poaching situation is going to be like as the 21st Century advances; and what our national parks will look like at the end of it. Under such growing human and environmental pressures, what kind of hope for survival does Africa’s wildlife have? What kind of world will Africa’s young people find themselves in? How will they survive? Unless mankind can formulate some extraordinary solutions to this problem, all that Africa can look forward to – it would seem – is the decimation of its wildlife, the destruction of its national parks, the loss of its ecotourism industries, and total social anarchy. There are several small rays of hope. The first is the fact that Africa’s rural people have a tremendous proprietary and emotional ownership over their cattle, sheep and goats. Their domestic livestock represent their bank accounts. Cattle are the currency with which they purchase their wives; their animals produce milk and meat for their families; oxen plough their fields; and donkeys pull their carts. And when they need cash they sell selected animals to the local butcher. And they will defend their domestic animals with their lives if anybody tries to steal or kill them. Nevertheless, Africa’s wild animals have an infinitely greater monetary value than the rural people’s domestic stock. Although this may well be the case, Africa’s colonial governments long ago disenfranchised the continent’s rural people and – even in post colonial Africa – they are still unable to legally use “their” wild animals for their own benefit. What Africa’s wildlife experts are now telling the world, however, is that for wildlife to survive this and subsequent centuries, we are going to have to integrate the “dire survival needs” of Africa’s exploding human population with what is rapidly becoming the equally “dire survival needs” of our wild animals. If we want to save Africa’s wildlife, therefore, we will HAVE to introduce a system of true symbiosis between the rural people and “their” wildlife that will ensure BOTH survive, together, into posterity. Only when those rural folk who live alongside Africa’s national park boundaries gain significant survival benefits from the sustainable harvest of their local wildlife – much more than they can accrue from their domestic stock and crops – will they start to truly value and foster “their” wild animals. Only then will they stop poaching in the national parks. This is truly the ONLY formula that can possibly stop poaching in the longer term. It is the ONLY way that the rural people of Africa will develop the “emotional ownership” factor that is so vital for the successful outcome of any plan of action to save Africa’s wildlife. But that is not all. We need to bring such development programmes into operation as quickly as possible because 2100 looms with all of its many simmering dangers. In a nutshell, in order to save it, we need to commercialise Africa’s wildlife – including its elephants and rhinos – for the benefit of Africa’s people; which is in total contradiction of the animal rightist doctrine. And – to rub salt into their wounds – hunting by international visitors will generate the greatest financial returns. Most African rural communities, however, currently believe that wildlife belongs to the government. And they gain nothing from wild animals unless they poach them. Indeed, when wild animals venture onto their tribal land holdings, the rural people consider them a liability – because they eat the grass and browse that is needed for their domestic stock; because many wild animals eat the villagers’ crops and livestock; and because periodically people are killed by them, too. So, in general, the people would choose to have all wildlife eliminated; or that it be kept within the boundaries of the adjacent national park. In fact, their ultimate preference would be that the national parks be de-proclaimed so that they could claim the land for their subsistence agriculture. In other words, Africa’s rural people have no emotional ownership over their local wildlife and national parks. Neither provides them with any benefit and their continued existence increases the people’s own survival concerns. The animal rightists proclaim that once you put a price tag around a wild animal’s neck you place it on the slippery slope to extinction. But under the present CITES restrictions on wildlife’s use by man, Africa’s wild animals are already on that slippery slope! And within the animal rightists non-use demands, other factors need to be pointed out. The most utilised animals on earth are domestic. Man has – since time began – placed price tags around their necks. Yet, today, domestic animals are the safest animals on the planet. Why? Because mankind cannot do without them! Civilisation – as we know it – would not exist if man did not utilise his domestic animals in a sustainable manner. Today southern African wildlife managers want to put their wildlife on the same commercial footing as man has always had his domestic animals. It is their fervent belief – as a result of proven examples – that ONLY when the rural black people of Africa experience the great rewards that the controlled and sustained use of wildlife can bring to them, will they start to look after “their” wild animals. And amongst the most valuable of all these animals are Africa’s elephants and rhinos. These are the two most iconic wildlife species and they are, currently, the one’s being the most heavily poached. Unfortunately, the animal rightist NGO’s plan this year – through CITES – to introduce a ban on the wildlife trade altogether; to place a total ban on the sale of ivory forever; to stop all hunting; and to thus ensure that Africa’s people are unable to benefit from the sustainable use of their own wildlife resources. They are determined to stick to the dogma of their doctrine – to abolish all animal uses by man – and they are not prepared to consider any benefits that might flow from such utilisation to either Africa’s people or its wildlife. And most governments of the Western World simply look on. Many openly connive with the NGOs. In this respect, the Western World – including many First World governments – is treating Africa’s wildlife as an international “commons” resource (like the whales of the oceans). Africa’s wildlife is, of course, nothing of the kind. It is owned by the people of the sovereign states on whose land it exists. But the governments and NGOs of the Western World disagree. They are – through CITES – constantly pontificating over Africa’s wildlife as though they owned it; and they are prescribing to Africa what the convention (which means the rest of the world) is prepared to allow Africa to do with its own wildlife… which is an intolerable state of affairs! Some things are becoming very apparent. If Africa cannot put into operation NOW, wildlife management systems that will still be operational in the year 2100 – because the wild animals will, by then (hopefully) be significantly benefitting the local people, and, because of that, these systems will have the rural people’s support – we may as well throw in the “conservation” towel right now. Furthermore, it should be understood by Africa’s wildlife managers that current anti-poaching programmes that address ONLY today’s problems – on ONLY today’s terms – and which are NOT specifically designed to work in the year 2100 – are a total waste of time. In the light of all these shenanigans, I have to agree with the mutterings of many African states: Africa would be better off if the continent, en bloc, resigned from CITES! Indeed, mass resignations are probably what is required to make the Western World sit up and take notice. Under the circumstances that currently prevail at CITES, if Africa does not distance itself from the convention; if Africa continues to allow itself to be led by the nose by the totally white animal rights NGOs of the Western World – in such an arrogant and neo-colonial fashion; and if Africa is going refrain from rocking the CITES boat – because its individual states fear the implementation of continually threatened financial retributions, by First World delegations, if they dare to resign – then God help Africa’s wildlife. God help Africa’s people. And God help Africa!